Chandler, AZ. 2250 S Gilbert Rd - Chandler - AZ 85286. Chandler, AZ. Chandler, Chandler AZ. Chandler-Gilbert Community College: Instrumental Majors..
Chandler, AZ. Hamilton High School, 3700 S Arizona Ave, Chandler, AZ 85248..
Chandler, AZ. Chandler, AZ - Tools. Chandler, AZ. 585 East Frye Road, Chandler, AZ, United States. Round-robin singles play. Play a set then rotation to winner's court just be a strong 4.0 or higher. 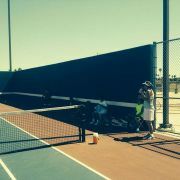 Backup courts will be Corona Del Sol HS nearby if DB is full again! This is a chance to find a network, maybe friends and/or mentors, and some resources for your business, career or personal life. First Eckhart Tolle Silent Local Group in Arizona! Chandler, AZ. Storm Large - in Chandler, AZ - Bogle Theatre at Chandler Ce..
Chandler, AZ. 5718 W NORTH Loop - CHANDLER Arizona 85296. Join us for an fun, informational meetup about CBD oil. Learn what it does, how and why it works and how you can benefit form this life-changing oil. Join us Friday April 26 from 7:30 - 9:30 pm for our end of the year social!We will be heading to AZ Ice Chandler for a night of ice skating.Dinner will be provided. Chandler, AZ. Flix Brewhouse - Chandler. The city was established and named for veterinary surgeon Dr. Alexander John Chandler who established a ranch in the south-central region of the state. In addition to having an abundance of year- round pleasant weather and sunshine, the community offers world-class dining options, five championship golf courses, park trails and a vibrant downtown district. The city celebrates its ethnic diversity every January during the Multicultural Festival. Various cultural groups present artworks, handmade crafts, musical and dance performances, storytelling sessions and other activities. It takes approximately 20,000 pounds of meat, 200 kegs of beer and 60 BBQ chefs to pull off the yearly Great American BBQ & Beer Festival. Entertainment is provided by country music performers. There are also eating contests, a kid's zone and more than 100 exhibits. A number of outdoor locations serve as the backdrop for live performances during the annual April Chandler Jazz Festival. The no-cost event also enables guests to venture throughout the downtown areas and explore the galleries, eateries and shops. The pleasant November weather brings all out for the historic Chuckwagon Cook-Off. Chuckwagon chefs prepare traditional four-course meals over wood fires to the delight of guests. Teams are judged and awarded prizes for their efforts. The event also includes historic storytelling, live music, cooking demonstrations, Western art and various vendors. The yearly, fall Rock the Block party is a family-friendly event that celebrates the fun and opportunities found throughout Chandler. Multiple stages offer live entertainment. A Kids Zone entertains youngsters. More than 100 artisans display their handiwork. There are also food trucks and a beer garden.